An orange torii entrance leads to the Gojo-jinja shrine complex, which as far as I can tell is primarily devoted to Inari, the Shinto god/goddess, of rice. This shrine complex is incredibly beautiful, a series of small shrines that play out their surprises in a microcosmic adventure of discovery. 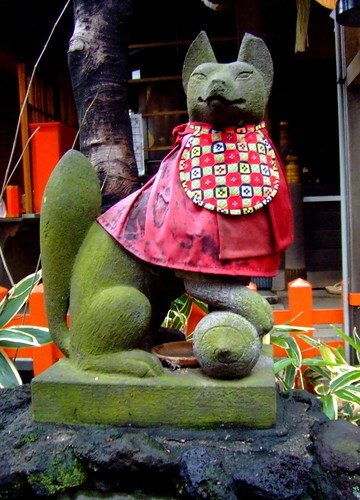 An Inari-related kitsune (fox) figure at Gojo-jinja shrine. 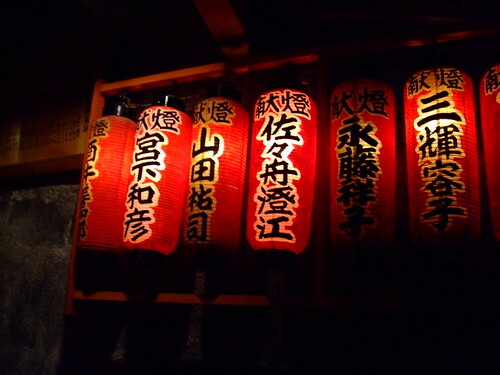 Inari is the god of rice, and one of the major figures in Shinto. Inari may appear as either male or female, and the messengers of Inari always appear in fox form. Red lanterns inside a cave-like tunnel at Gojo-jinja shrine. 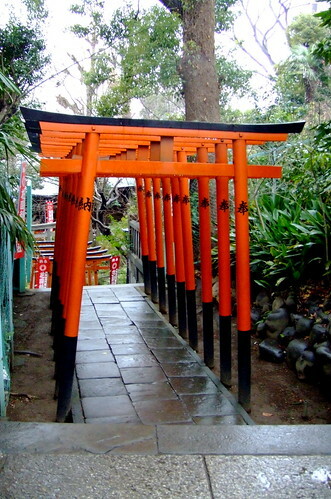 At the end of the tunnel is a small Inari shrine that looks something like an elaborate birdhouse.